The Roman Catholic Counter-Reformation art is the most “stringent, doctrinal style of Christian art.” This is both a reaction and response to the Protestant Reformation that rose during the 16th-century, during which Catholic and Christian art were being censored and destroyed by Protestants. The Protestant art that exist in small numbers was agenda driven by nature and is very unlike the art that was popular during the High Renaissance period. The four sects of Protestantism: Lutheran, Calvinist, Anabaptist, and Anglican caused much fragmentation of the Christian faith. They caused one iconoclasm after another in protest against the Christian Church. In its place, they put up “religious art” that depicts the leaders of the Protestant Reformation as the subject’s protagonist (i.e. using the faces of the Protestant leaders in a painting of the Last Supper). Such was the Protestant hate against the Roman Catholic Church, whom they see as corrupt. Martin Luther wishes to wield his religious army to bring down the Pope, Pope Leo X. The corruption in question happens to be the extravagant remodeling of Rome that started with Julius II, overseen by Italian artist and architect, Donato Bramante. To counter the Protestant threat and to restore to the trust of the people to the Roman Catholic Church after the Reformation in 1517 and the Sack of Rome in 1527, the Church, led by the Reformers after the Council of Trent in 1545 to 1563, took to education and art as the key in achieving this goal. Hence the Catholic Counter-Reformation was born. He was born in Camerano in 1625 and grew up with talents in arts. By age 11 he was sent to Rome to train in the workshop of Andrea Sacchi. The boy, Carlo Maratta, was befriended by Sacchi and Carlo worked for his workshop until Sacchi died in 1661. Maratta rose to prominence in 1648 with the help of his patrons, Cardinal Albrizio and Andrea Sacchi. He was introduced to the then Vatican’s Secretary of State, Fabio Chigi (future Pope Alexander VII), who gave him a large number commissions to work on, one of which was the “Constantine ordering the Destruction of Pagan Idols.” It was this work that made him popular in the Vatican. “The Adoration of the Shepherds” came two years after, in 1650. 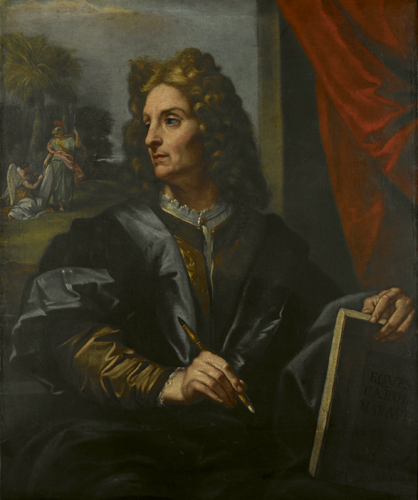 It was an independent work which he made for the Church of San Giuseppe dei Falegnami that solidified his reputation as an artist. 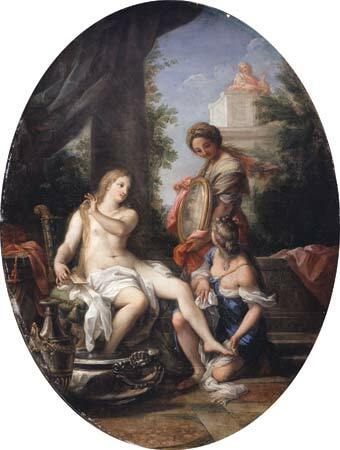 While Sacchi was alive, Maratta’s style was rigidly close to that of Sacchi, but after Sacchi died in 1661, Maratta became more open to the Baroque style, specifically to devices such as diagonals and foreshortening. In 1704 he was knighted by Pope Clement XI. Old and with patronage in decline, he went on to just restoring works and ran his studio until his death in 1713.